The Massachusetts damage caps for medical malpractice cases, car accident fault rules, and statute of limitations are listed below. These are general rules and laws regarding personal injury in Massachusetts. If you feel your case deserves attention and further explanation please contact one of our experienced attorneys. This all depends on what type of claim you need to file, but to be safe, you should always file your claim as soon as possible. Your statute of limitations for general personal injury and product liability is 3 years. The time period for medical malpractice is quite some time longer at 7 years. This is a car accident-specific rule. In no fault states like Massachusetts, you can't file lawsuits unless its specifically for serious injuries sustained. (Ask a Massachusetts lawyer for the legal definition of a serious injury in regards to no fault lawsuits) If you wish to collect for medical bills it comes from your personal injury protection insurance. This goes hand in hand with the Massachusetts 51% rule. This rule is a modification of the comparative negligence rule and basically means if you are at fault for 50% or more then you can't recover any compensation or damages. So if the plaintif = 51% and you the injured = 49% then you can sue for the percent of damages caused. Are there Damage Caps in Massachusetts Injury Law? Damage caps usually refer to medical malpractice or doctor negligence cases. The injury damage cap for medical malpractice cases in Massachusetts is $500k for non economic damages. There are some exceptions like proof of disfigurement, loss, impairment, or other circumstances. 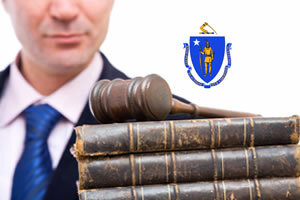 Speak to Massachusetts malpractice lawyer for specifics about your case.